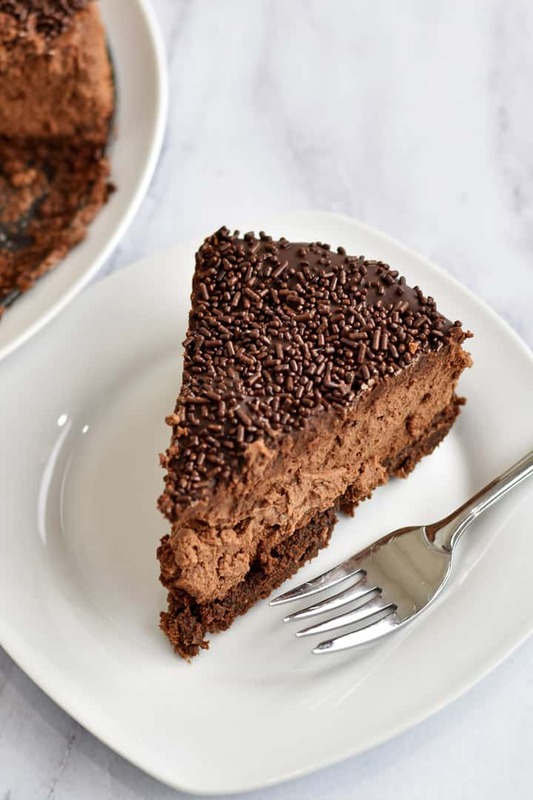 This delicious chocolate cheesecake is a truly decadent dessert. The rich cheesecake sits on a brownie base and is topped with chocolate ganache. If you love chocolate but need to avoid gluten, this Chocolate Brownie Cheesecake is for you. I’m a big fan of chocolate and Jim’s a big fan of cheesecake. 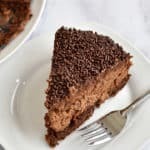 Not sure why it took me so long to share a chocolate cheesecake recipe with you. Unlike many cheesecake recipes, this one doesn’t require a water bath. Full disclosure, this cheesecake is over-the-top sweet and chocolaty. It’s a perfect treat for me, but too rich for Jim. 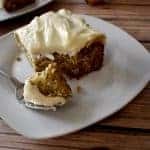 If you’re not a big chocolate fan, then try my Gluten Free Banana Cake with Cream Cheese Frosting or Lemon Loaf Cake with Lemon Glaze. There’s a lot of inactive time involved in making this cheesecake, but it’s definitely worth the effort. You may be tempted to shorten the chilling time, but you’ll be rewarded for your patience. Preheat oven to 350-degrees. Grease a 9-inch round springform pan. 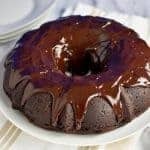 Place the chocolate and butter in a microwave-safe bowl. 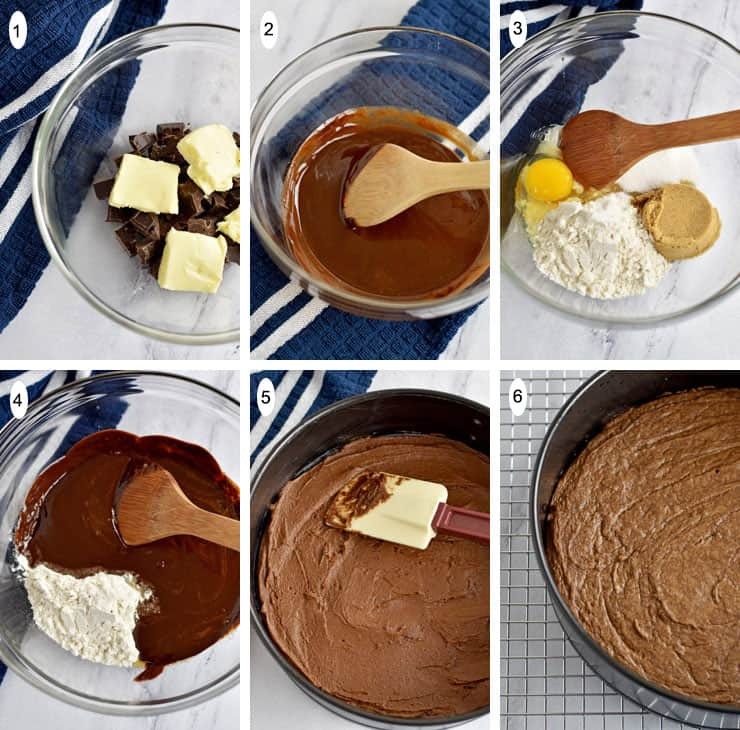 Heat at medium power in 30-second increments until butter has melted and chocolate melts when stirred (photos 1 & 2). Stir until smooth. Set aside to cool slightly. In a medium mixing bowl, combine the sugars, egg, vanilla, and salt (photo 3). Add the chocolate mixture and stir until combined. Stir in the gluten free flour until just combined (photo 4). Transfer the mixture to the prepared pan and spread evenly (photo 5). Bake 15 to 20 minutes, or until a wooden pick inserted in the center comes out with moist crumbs. Set the pan on a wire rack and allow to cool completely (photo 6). Melt 6 ounces of chopped bittersweet chocolate in a heat-proof bowl placed over a pan of simmering water (photo 7). Stir until smooth, then remove from heat and allow to cool. 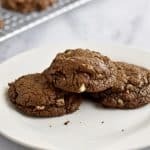 Using an electric mixer on medium speed, beat the cream cheese, sugar, and cocoa powder until thoroughly combined and fluffy. Add the eggs, one at a time, mixing well after each addition. Mix in the vanilla (photos 8 & 9). Add the cooled chocolate and mix until thoroughly combined. 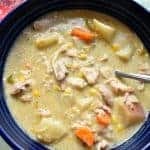 Mix in the sour cream (photos 10 & 11). Pour the batter onto the cooled brownie crust and spread evenly (photo 12). Reduce oven temperature to 200-degrees. Continue baking for 2 hours. Turn oven off. Remove the cheesecake from the oven and gently run a knife around the edges of the pan. Return the cheesecake to the oven. Leave the cheesecake in the oven for 2 hours. 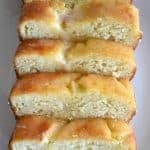 Cover cheesecake loosely and refrigerate overnight. Place the bittersweet chocolate in a heat-proof bowl (photo 13). In a small saucepan, heat the cream over medium heat until it begins to bubble around the edges. 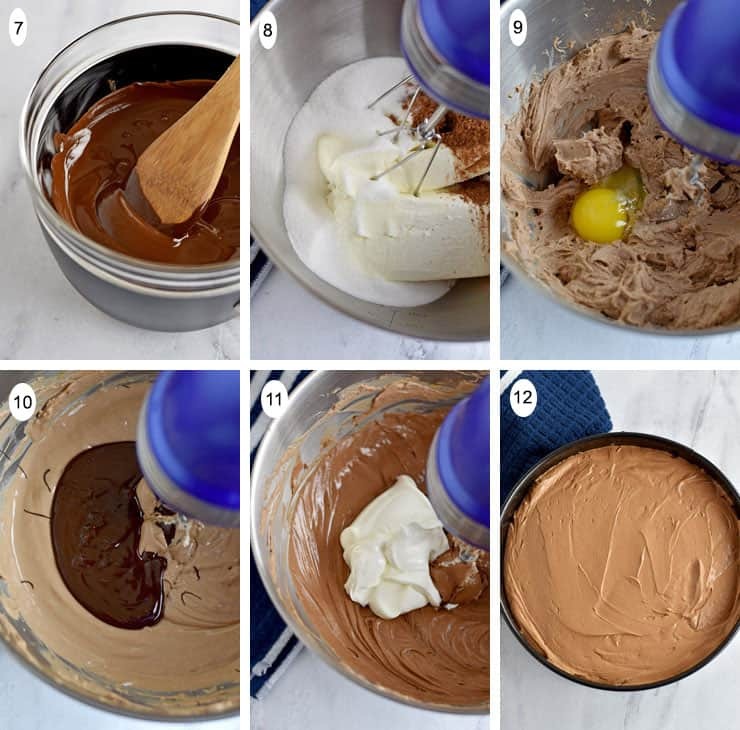 Pour the cream over the chocolate and whisk until smooth (photos 14 & 15). Spread the ganache over the chilled cheesecake. 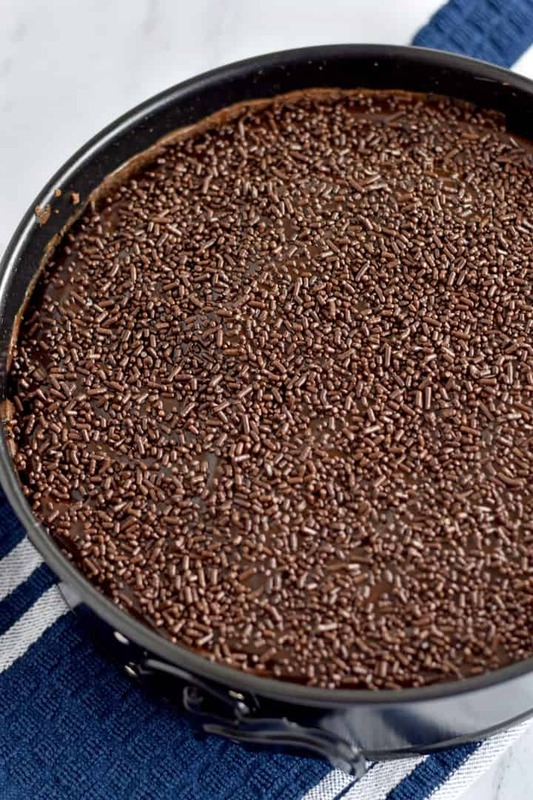 Cover with chocolate sprinkles. Return the cheesecake to the refrigerator for 10 minutes to allow the ganache to set. Be careful to not overbake the brownie bottom of this cheesecake. Only bake until a pick inserted in the middle comes out with moist crumbs. If you bake until the pick comes out clean, the firmness of the brownie layer will make it difficult to slice the cheesecake. Always use softened (room temperature) cream cheese. 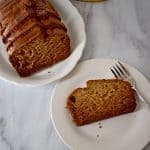 The cream cheese blends better with the other ingredients when it’s softened. Cream cheese straight from the fridge will be too cold and will leave your mixture lumpy instead of creamy. Check your gluten free flour blend for xanthan gum. If it doesn’t contain it, try adding 1/4 teaspoon to the brownie crust ingredients. The cheesecake can be stored, in an airtight container for up to 5 days in the refrigerator. You can also freeze individual slices by wrapping them in plastic wrap and placing in freezer-safe storage bags. If you love chocolate, you’ll want to try this Chocolate Brownie Cheesecake. The three layers of chocolate make this dessert irresistible. Happy Baking! This rich cheesecake sits on a brownie base and is topped with chocolate ganache. 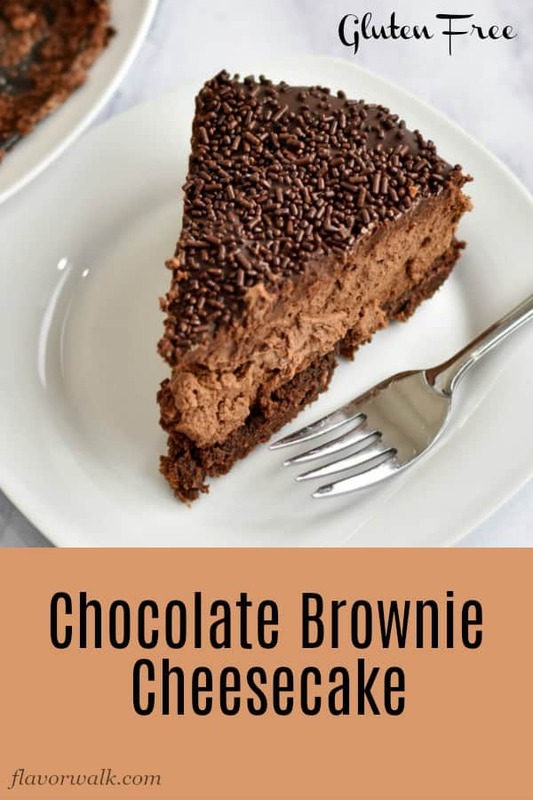 If you love chocolate, but need to avoid gluten, this Chocolate Brownie Cheesecake is for you. 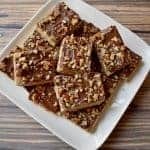 Place the chocolate and butter in a microwave-safe bowl. Heat at medium power in 30-second increments until butter has melted and chocolate melts when stirred. Stir until smooth. Set aside to cool slightly. Combine the sugars, egg, vanilla, and salt. Add the chocolate mixture and stir until combined. Stir in the gluten free flour until just combined. Transfer the mixture to the prepared pan and spread evenly. 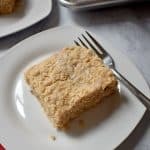 Bake 15 to 20 minutes, or until a wooden pick inserted into the center comes our with moist crumbs. Set the pan on a wire rack and allow to cool completely. Melt 6 ounches of chopped bittersweet chocolate in a heat-proof bowl placed over a pan of simmering water. Stir until smooth, then remove from heat and allow to cool. 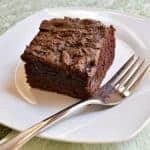 Using an electric mixer on medium speed, beat the cream cheese, sugar, and cocoa powder until thoroughly combined and fluffy. Add the eggs, one at a time, mixing well after each addition. Mix in the vanilla. Add the cooled chocolate and mix until thoroughly combined. Mix in the sour cream. Pour the batter onto the cooled brownie crust in pan. Spread evenly. Turn oven off. Remove the cheesecake from the oven and gently run a knife around the edges of the pan. Return the cheesecake to the oven. Leave the cheesecake in the oven for 2 hours. Place the bittersweet chocolate in a heat-proof bowl. Pour the cream over the chocolate and whisk until smooth. 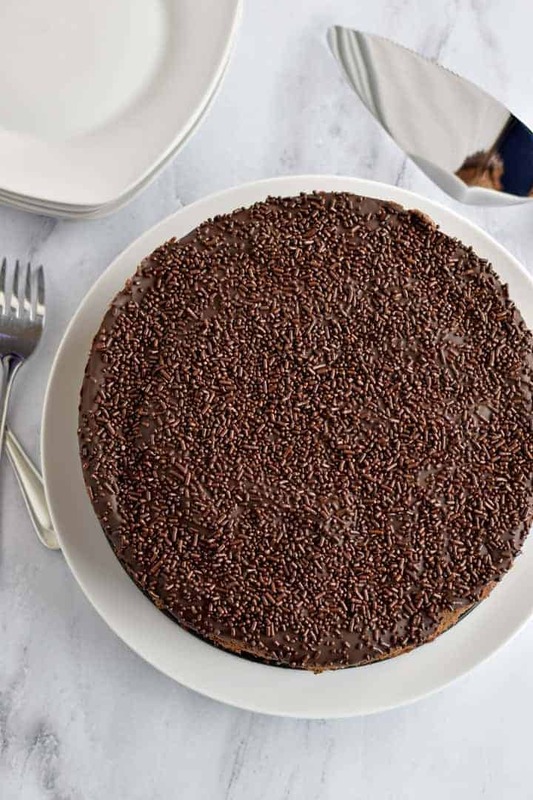 Spread the ganache over the chilled cheesecake and cover with chocolate sprinkles. Place cheesecake in refrigerator for 10 minutes to allow the ganache to set. Check your gluten-free flour blend for xanthan gum. If it doesn’t contain it, try adding 1/4 teaspoon to the brownie crust ingredients.